Shopping for a warranty plan involves knowing what you need and what you want for your vehicle. Now that you have made your investment make sure you are protected. True Auto offers a line of service plans designed to fit all of your new automobile needs. 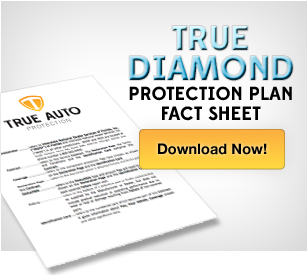 True Diamond: True Diamond is our most comprehensive vehicle service program available for new automobiles. The True Diamond plan covers repairs on all assemblies with the exception of certain exclusions.